St Mary Aldermary is in Bow Lane. A church has stood on this site for around 950 years. 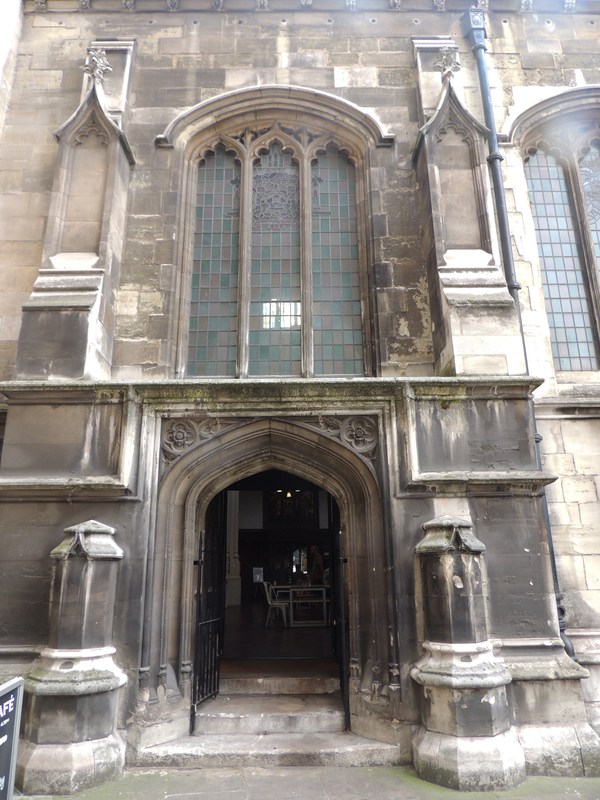 The first church was probably founded by Benedictine monks from Canterbury and it is thought to be the oldest church in London dedicated to the Virgin Mary as the name ‘Aldermary’ probably derives from ‘Older Mary’ to distinguish it from nearby St Mary-le-Bow, which itself dates from 1080. 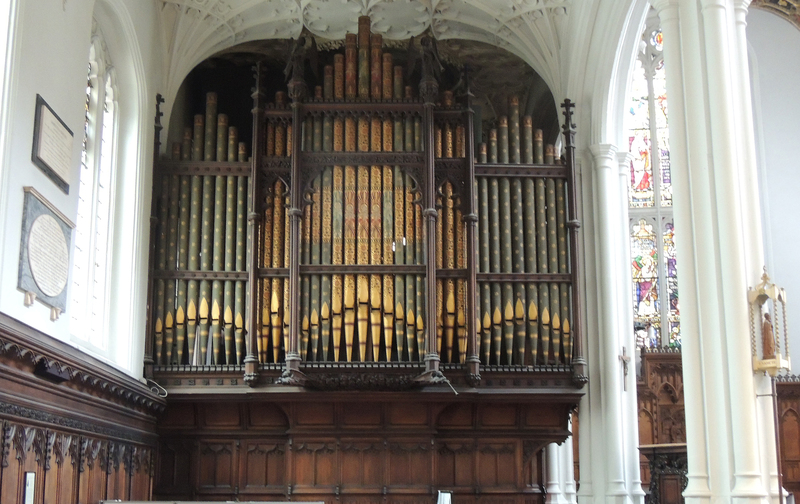 The church was rebuilt in 1510 and played an important role in the life of the city. A survey of 1598 records the burials of at least 3 Lord Mayors within the church plus the tomb of Richard Chaucer, believed to be the father of Geoffrey Chaucer who wrote the ‘Canterbury Tales’. 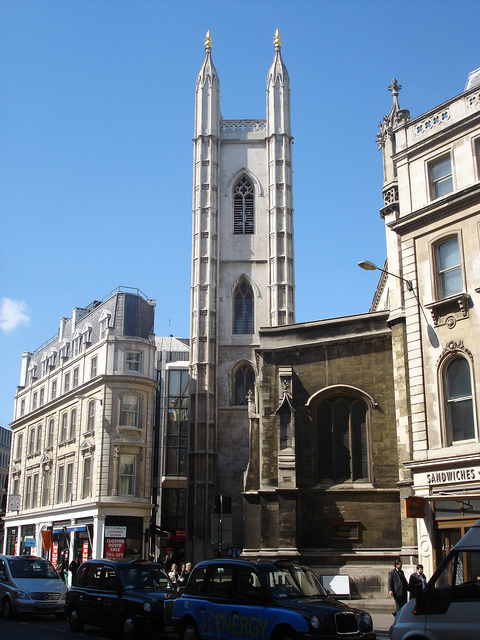 The church was badly damaged during the Great Fire of London in 1666. A sponsor offered to pay for the renovation but only on the condition that it was restored to the 1510 plan. 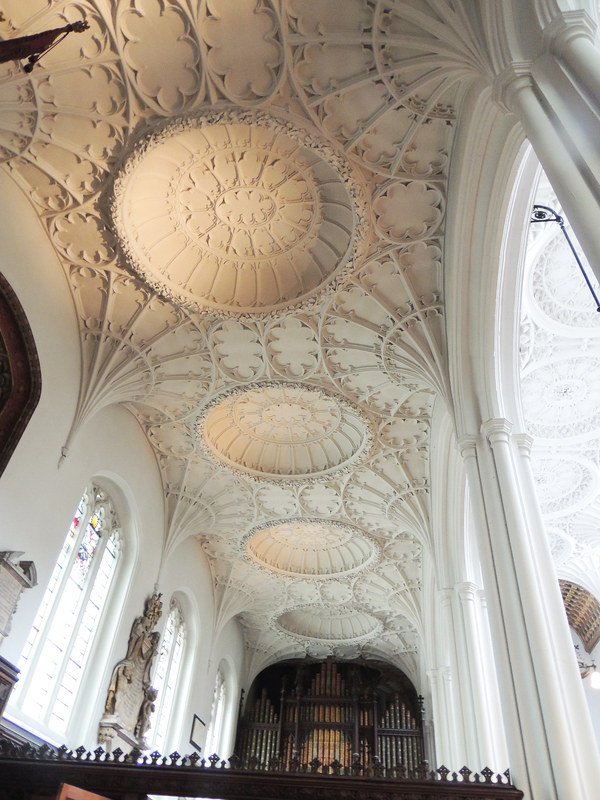 Thus this is the only church, it is believed, that Sir Christopher Wren built in the Gothic style of architecture. 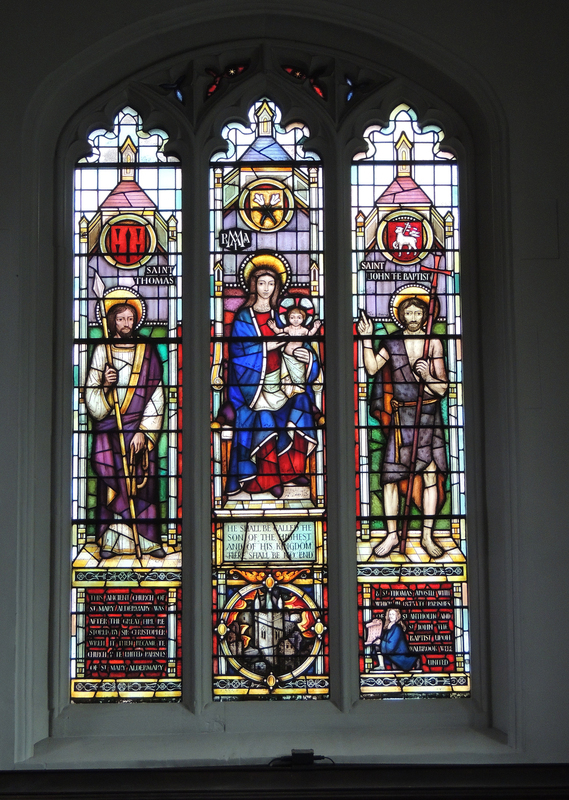 It suffered some damage during WW2 bombing raids and all the stained glass was destroyed when a bomb fell nearby. 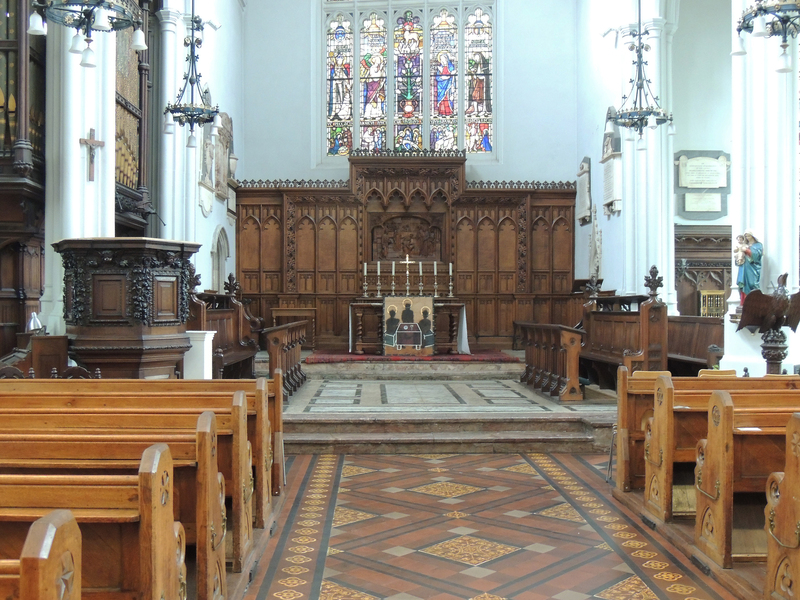 Today it is home to the Moot Community, a new monastic contemplative order within the Church of England. 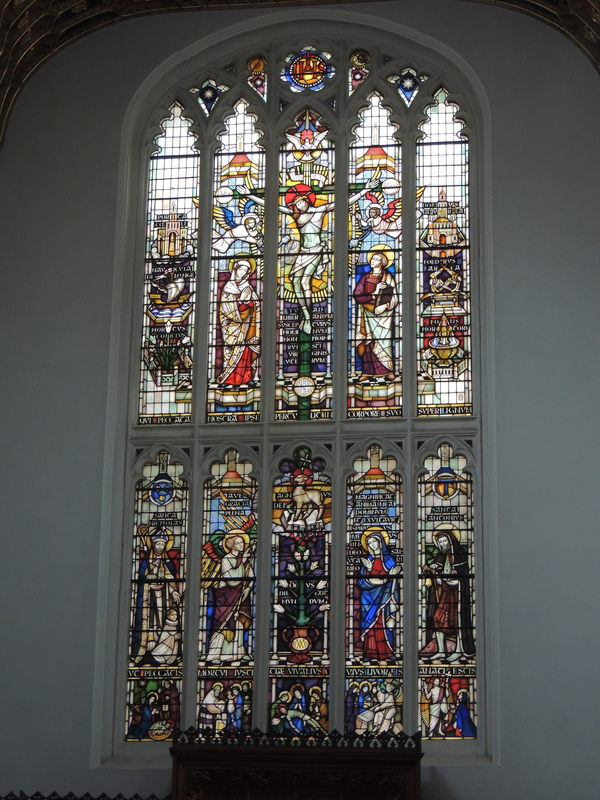 The highlights of this church are the ceiling and the stained glass windows and a very nice cafe.